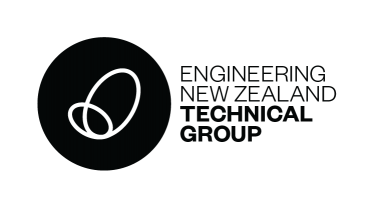 RSE was formed in February 2008 with the active support of WorkSafe NZ to facilitate the work of engineers who routinely certify what are known as “Amusement Devices”. Examples of such devices are Go Karts, Merry-Go-Rounds, Ferris Wheels, Miniature Trains, Bumper Boats, Hovercraft, and Simulators. All these devices are used by the public in general and by children in particular. Members of the RSE have the safety of persons riding or in the vicinity of such devices as their first priority. Certifiers work under the Amusement Devices Regulations 1978, which are made under the Machinery Act 1950. This is long-standing public welfare legislation (which accounts for what may seem an archaic name for the devices). Certifiers carry full responsibility for the safe design and operation of the device (at the time of the inspection) and an ongoing responsibility to interact with the owner/operator during the period of the licence issued by WorkSafe on the recommendation of the Certifier. RSE has ambitions to broaden and modernise the scope of equipment to be included in the system with the sole aim of improving public safety. Members of the RSE see their role as professional advocates of engineering safety in recreation as devices/activities become more diverse and technically demanding. Certifiers must be CPEng and mechanically qualified. Membership of RSE will be broadened to include all those with an interest in the safety of such devices, such as Owner/Operators, Territorial Authorities, Equipment Suppliers and Regulators.